We all know that Microsoft Office is a great bundle of software for any kind of official works. Among all, the MS Word is famous typing software to type any kinds of documents, books, news etc. In one word I would like to say, there are no typing software that can be place in MS word. 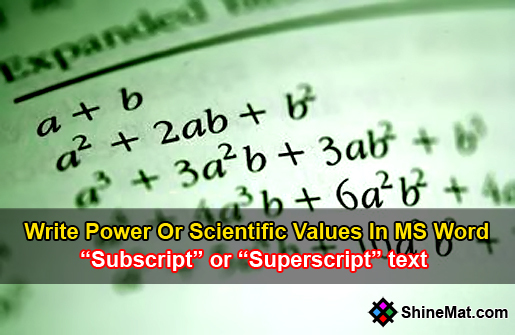 This post is about how to write power or scientific values In MS Word. You can also write symbols, footnotes, endnotes or equation mark that are positioned to higher or lower to a simple text. This marking system also called as “Subscript” or “Superscript” text. Oh! 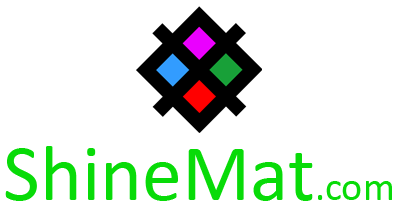 I published this post especially for a younger reader of ShineMat.com. His name is “Raihan M Taher” from Pakistan. Hope you understand clearly what is “Subscript” or “Superscript” text. Now let’s go to the writing process. LOVE TO READ: How To Format Write Protected USB Drive? 1. First write your document in MS word. 2. Select your desire text or value that you want to make as subscript or superscript. 3. Now select Home tab from top. 4. 4. Find X2 or X2 from Font group section and click as your choice. How To Remove Text Shadow From Desktop Icons? That’s all dear friends. Hope this post helps. If you have any question please feel free to ask me anytime. Allah Hafez.